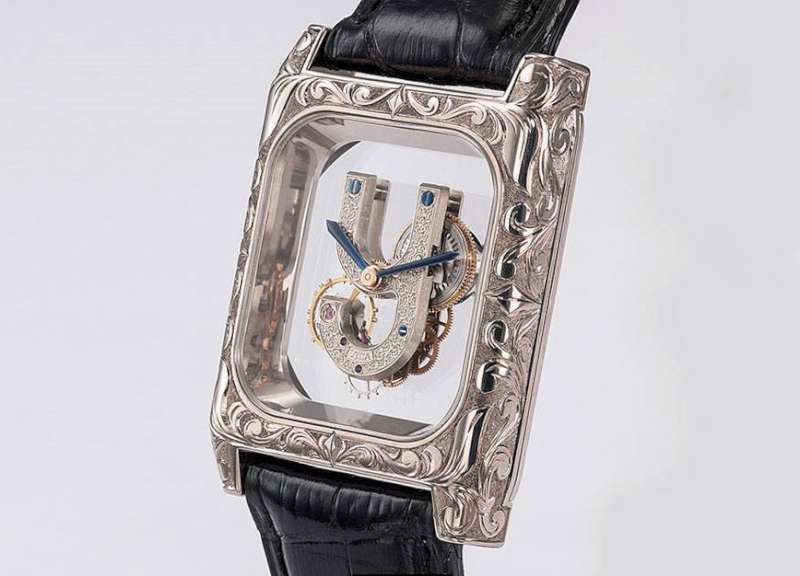 Vincent Calabrese, born in Naples, has been a watchmaker for most of his life. His career includes many inventions, collaborations with brands such as Corum and Blancpain, the foundation of his Academy, and a new watchmaking project with several interesting and accessible timepieces. In this short interview, VIncent talks about the origins of the Golden Bridge, the importance of customers’ initials, his sometimes problematic relations with major brands, and his approach to life, with his anti-militaristic, pro-diversity approach, that has always determined the direction of his work. He doesn’t mince words, and he provides a revealing insight on the difference between the tourbillon and the carrousel. I conducted the interview in Italian, Vincent’s native language (he also speaks French). Il testo italiano originale è sotto la versione inglese / scroll down for the original Italian version. The photos are mostly from the Vincent Calabrese NHC website and from Vincent’s Facebook page. Ambrose Lancaster: First question. Do you still have an Italian passport? Vincent Calabrese: I only have an Italian passport! A.L. : How long have you been away from Naples? V.C. : I left Naples when I was almost 18. It was two months before my 18th birthday, and then I would have had to enrol for military service. That’s why I left Italy. A.L. : How did you have the idea for the Golden Bridge movement? V.C. : At that time I was working in a luxury skiing resort, with a lot of important and very rich clients. 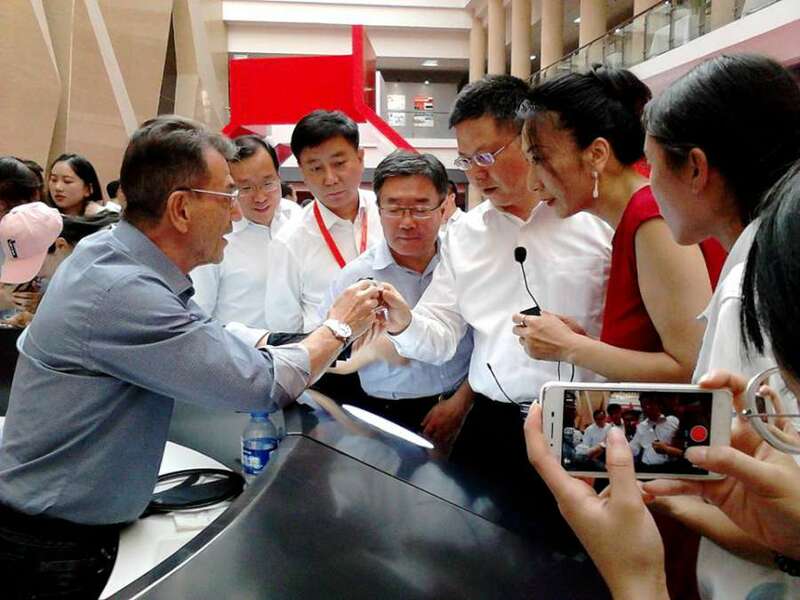 They all wanted personalized watches and there was no company in the world capable of meeting the demand. Whether Patek Philippe, Audemars Piguet or other brands, the personalization was simply engraving the customer’s name onto the caseback, or making a special dial. I had the idea of making something genuinely personalized, not just working on something that already existed, just modifying something specially for the client in terms of decorative aspects. My idea was that something of the customer could give rise to the very structure of the watch, in its creation by the watchmaker. So the idea was to build the movement according to the customer’s initials. I had the idea and I thought, let’s start from a line, which could be straight or curved. That’s where I started, from the simplest shape, a straight line. That’s how I created the Golden Bridge, which I later sold to Corum, and it’s that movement that gave rise to everything I did later, with straight and curved lines. A.L. : Considering everything that you have invented, with your work on the carrousel, the tourbillon, watches for Blancpain and Corum, the Golden Bridge, are you satisfied with the rewards that you have obtained, both in terms of moral and financial recognition? V.C. : In a normal situation the answer would be no, because many people in my position wouldn’t be satisfied. But in actual fact, the things that I have done weren’t done for them, I did them for myself. Returning to your first question, after 56 years spent in Switzerland with an Italian passport, I can say that just the fact of having an Italian passport made things very difficult for me in Switzerland, because a person like myself, an Italian with an Italian passport, succeeded in making all sorts of things that they never succeeded in doing. My Italian nationality created more enmities and bitterness than rewards. But in the end, my project received some recognition, principally amongst people who love watches and professional watchmakers themselves, while companies and a lot of media are embarrassed by my creativity. A.L. 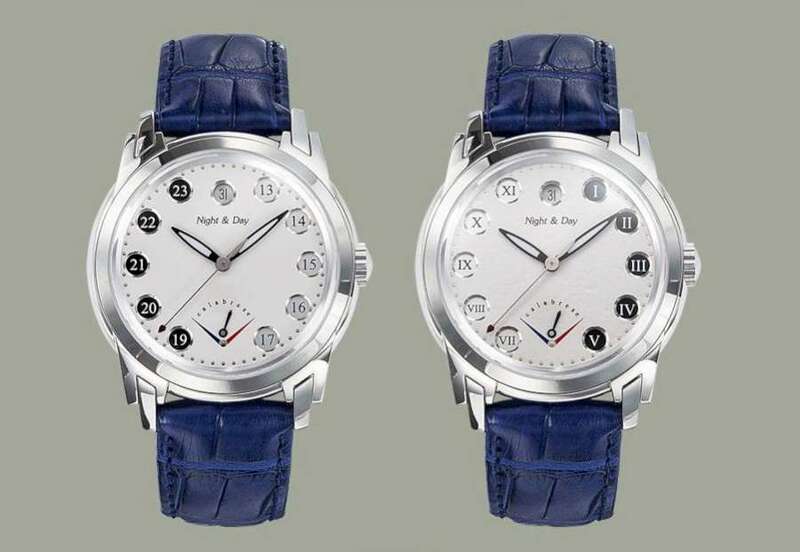 : In 1985 you were a co-founder of the Academy, AHCI, Académie Horlogère des Createurs Indépendants,. Why did you set up this institution, and how would you describe its function? V.C. : The major problem was that after I created the Golden Bridge and sold it to Corum, in the contract it said that my name had to be mentioned in the company’s communications regarding the movement. After about a year and a half, after the initial success of that watch, they phoned me and told me that there was a problem, because my Italian name was too long and too difficult to pronounce, and so they asked me whether I would accept my name no longer appearing in their communications. This unwillingness to give the appropriate recognition to the craftsman who had invented the movement made me rather angry, and I thought that perhaps I wasn’t the only person to be in that situation, and that there were certainly other watchmakers like myself in other parts of the world who were suffering in the same way that I was, for the lack of the recognition that we deserved. That was what inspired me to found the Academy – AHCI, Académie Horlogère des Createurs Indépendants. There were people of international repute who needed someone who spoke the languages that I couldn’t speak. So I turned to with fellow watchmaker Svend Anderson who spoke German and English, and I spoke French and Italian, and we created the Academy in 1985. The objective was to put watchmakers into the spotlight. This is still the case today. A.L. : Let’s change the subject and move on to something more technical. 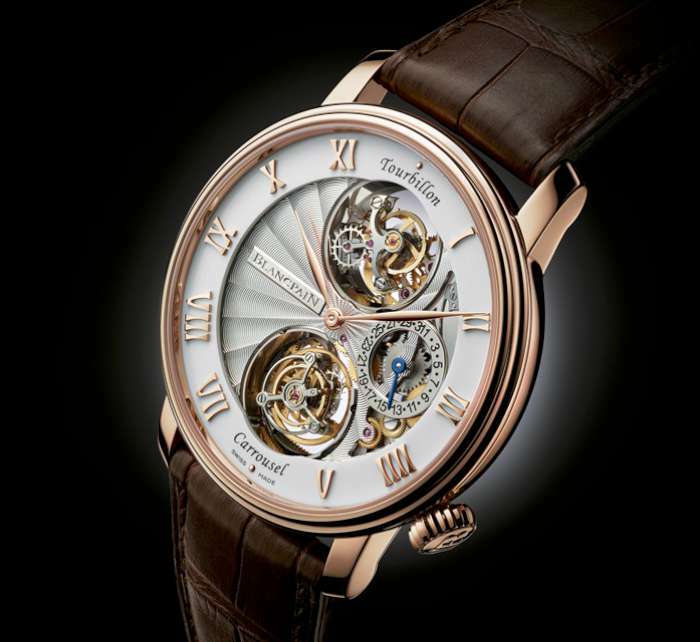 What is the main difference between the carrousel and the tourbillon? V.C. : The carrousel was invented by the watchmaker Bonniksen, a Dane who was working in England, but he came up against Switzerland’s fascism, in other words the French Swiss who at all costs wanted Breguet and his tourbillon to be considered as superior to Bonniksen’s carrousel, and so for almost two centuries the carrousel was almost entirely forgotten. When I made my first tourbillon, I didn’t make it with a large central balance, but I made it eccentric. Other watchmaking ateliers said that it wasn’t a tourbillon but actually a carrousel. I was criticized for many years, and as I had sold the invention to Blancpain, they criticized Blancpain in the same way. So when I was working with Blancpain thirty years later, we decided to take our revenge and to show the world exactly what the carrousel was. We created a carrousel that rotates once per minute with a central balance, and I was able to show, with calculations and videos, that the carrousel is far better than the tourbillon because mechanically they are completely different. The tourbillon’s characteristic rotation is obtained by means of a fixed wheel and a simple planetary rotation, while there is nothing fixed in the carrousel: it has a differential, and so its actual movement is very difficult to calculate. I was able to show that the carrousel is far more advanced from the mechanical point of view. We demonstrated an enormous defect of the tourbillon, which has a fixed wheel and a cage that revolves around it: in the vertical position, when the cage is at the bottom of its circuit it tends to fall away from the gear teeth, and when it is at the top it tends to fall into them, so to speak. The result is a diversity in energy transmission during the tourbillon’s rotation. As the carrousel doesn’t have a fixed gear, this phenomenon does not occur. A.L. : Today you have rebooted your watchmaking production, with a new website and intense activity on social media. 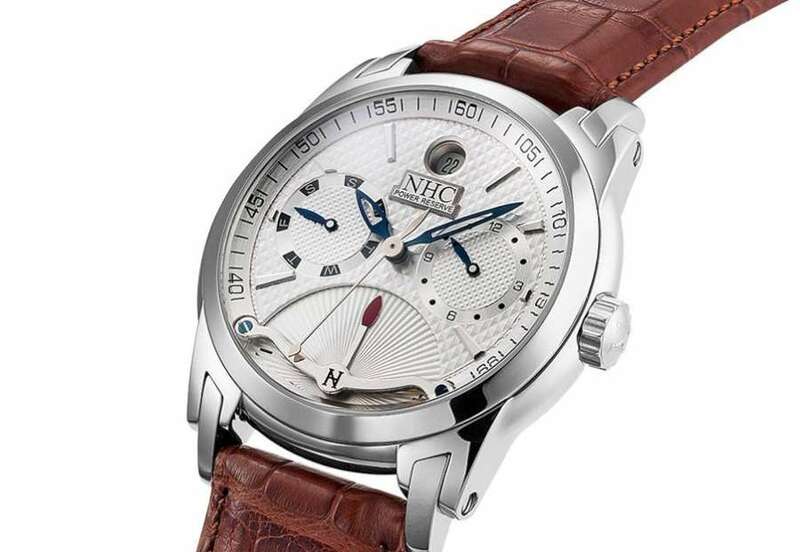 Have you been working on this project, NHC Nouvelle Horlogerie Calabrese, for many years? V.C. : No, not long. Nine years ago I sold my company to Blancpain, with the agreement that they would produce my creations and my patents, but in actual fact they have done nothing at all. At that time I faced the situation of having to accept that my work would die with me. Alternatively I could try to do something that would enable my work to continue after me. In order to make my return I am trying to put my creations into production, creating an infrastructure so that it’s no longer just me working on my own. I hope to gradually find some partners so that my work can be continued. A.L. : In your watch Personnelle Ypsilon, the Y to which the name refers has some symbolic significance for you, but are there also practical reasons for the shape? V.C. : The letter Y can be interpreted according to its Greek definition, but at the start, Y was just a customer’s initial. When I make one of my spatial watches, for me the construction is more important than the symbols. In that particular case, I had a movement that I had already built, and I wanted to make a different case. I also wanted to add to it with engravings. This watch is unusual in that it is in white gold, a metal that I have used for only a few watches because I generally used yellow gold. And its case is special, there are only four cases of this type. It was engraved superbly by a colleague, a true star of engraving. So in this watch there are two contributions, my own, and the engraver. Usually in my spatial watches, there is just a single contribution, myself as the watchmaker-artisan who worked on the piece. V.C. : For me it is important to remember the value of quartz. It is often forgotten that a quartz movement is far more accurate than an automatic watch. And I wanted to show my watchmaking colleagues that quartz has the same power, in functional terms, as a mechanical movement, and so that it can be used with the same mechanism. 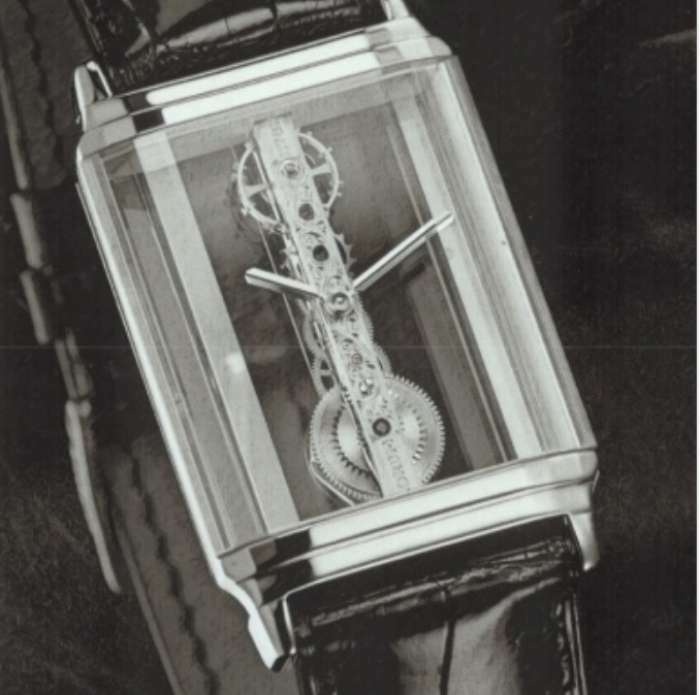 Not many watchmakers have managed to do this, and in fact as far as I know, I am the only one to have succeeded. 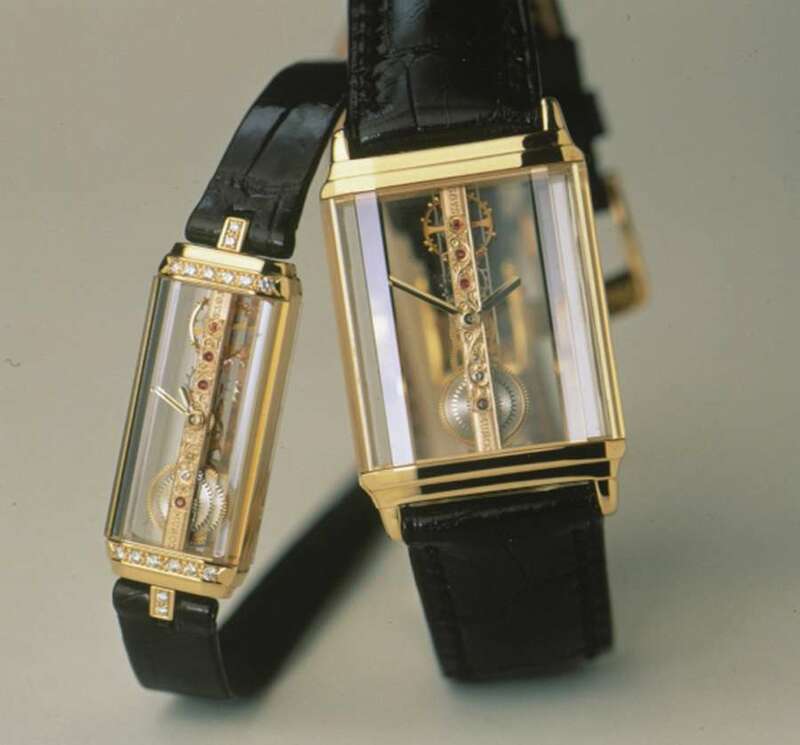 Then there is also a philosophical aspect, with the central hands for hours and minutes as in a normal watch, and in addition the trapezoidal window that jumps every hour to indicate a symbol from a different culture. I wanted to demonstrate my own life approach of openness to others, to the whole world community, the fact that we are all living on the earth in the same conditions. A.L. : There are some other watches in which you have modified an ETA movement, such as the 2892, personalizing the movement in order to add the power reserve indicator. V.C. : That’s right, in practical terms I have worked on two levels, the spatial watches in which I built the movement – and in this sort of artisanal watchmaking the price is at a higher level – and on something more accessible for people with more moderate financial resources. I wanted to demonstrate something different with respect to spatial watches, for which it is obvious that they are unlike other timepieces, there is no-one else making watches like these. In fact I wanted to create an unusual watch while still using the conditions adopted by many others, in other words a dial that hides the watchmaker’s movement, even accepting the case which is like a coffin for the watch. So starting from there, from something ordinary, my objective was to do something extraordinary. I always used the same movement, the ETA 2892, on which I have developed dozens of different mechanisms. The basic concept was to show that in any case, I could still do something different. For me it is a technical demonstration of my philosophical approach. A.L. 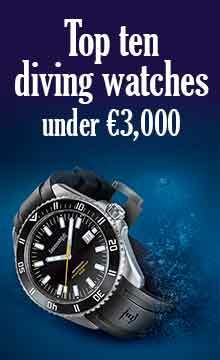 : Which is the most accessible watch in the range that you are now making? V.C. 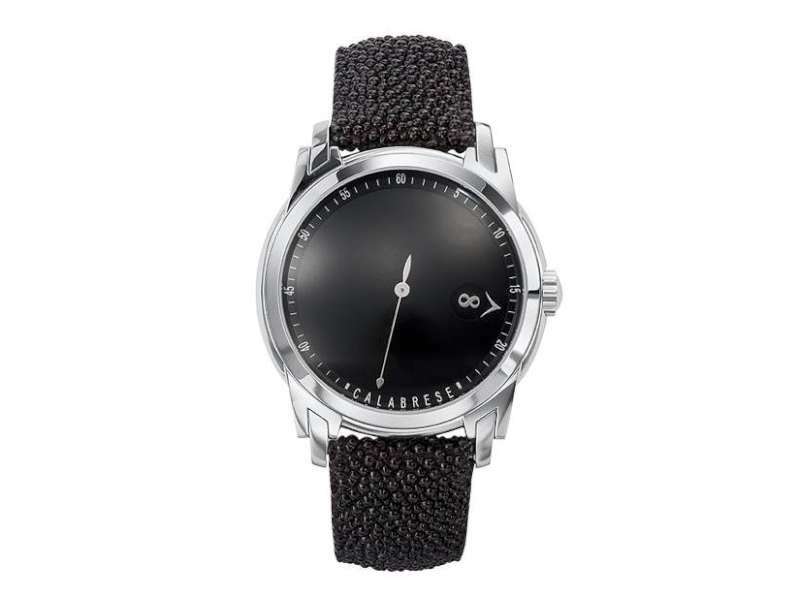 : The most accessible pieces are the quartz watches that start from 2,500-2,800 Swiss francs. I think that this is a more than fair price, because they are nonetheless to an extent artisanal watches, unusual timepieces offered at virtually normal prices. 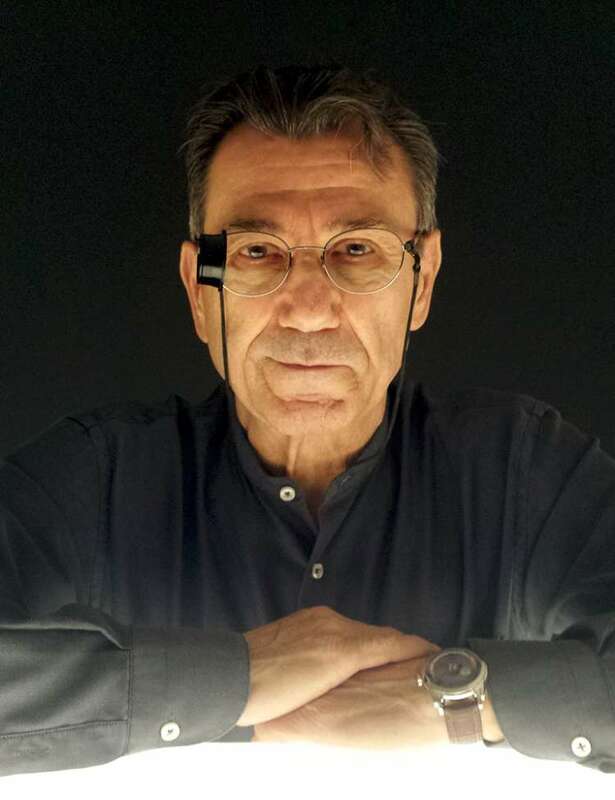 Vincent Calabrese, nato a Napoli, è da sempre creatore di orologi, con una carriera che comprende invenzioni, collaborazioni con brand importanti quali Corum e Blancpain, la creazione della sua Accademia, e ultimamente un progetto che vede l’orologiaio rilanciarsi con dei pezzi interessanti ed accessibili. In questa breve intervista, Vincent ci parla delle origini del Golden Bridge, dei suoi rapporti spesso tumultuosi con le grandi case orologiere, e la sua filosofia di vita anti-militaristica e apertura all’altro che ancora adesso determina la direzione del suo lavoro. Ambrose Lancaster: Lei ha ancora il passaporto italiano? Vincent Calabrese: Ho unicamente il passaporto italiano. A.L. : Come mai è partito da Napoli? V.C. : Sono partito da Napoli quando avevo quasi 18 anni. Mi mancavano due mesi per compiere 18 anni e poi avrei dovuto fare il militare, ed è questo il motivo per cui ho lasciato l’Italia. A.L. : Come le venne l’idea per il Golden Bridge? V.C. : L’idea del Golden Bridge mi venne perché in quel periodo stavo lavorando in una stazione di montagna di lusso, dove c’era una clientela molto importante e molto ricca. Tutti volevano orologi personalizzati e non c’era nessuna ditta al mondo che potesse soddisfare la domanda. Che essi fossero Patek Philippe, Audemars Piguet od altre case, potevano solo incidere il nome della persona sul fondello o fare une quadrante speciale. Mi è venuta l’idea di fare qualcosa di veramente personalizzato, non intervenire su qualcosa che già esisteva, cioé modificando qualcosa in base al cliente semplicemente con l’abbigliamento e la decorazione, ma piuttosto che fosse la persona che desse luogo all’orologio nella forma creato dall’orologiaio. L’idea era di costruire il movimento in base alle iniziali della persona. A quel momento, già che si parte comunque da una linea che può essere diritta o curva, ho cominciato da lì, la cosa più semplice che è la linea diritta. Così ho creato il Golden Bridge, che poi ho ceduto a Corum, ed è quello ha dato inizio a tutto quello che ho fatto dopo, con linee diritte o curve. A.L. : Pensando a tutto quello che ha inventato, il carrousel, il tourbillon, orologi per Blancpain e Corum, il Golden Bridge, lei è soddisfatto dei riconoscimenti sia morali che economici che ha avuto? V.C. : Se parliamo da una punta di vista della normalità, no, perché tanta gente al posto mio non ne sarebbe stata soddisfatta. Nella realtà, quelle cose non li ho fatto per loro, li ho fatti per me. Ritorno alla prima domanda che mi ha fatto, dopo 56 anni in Svizzera con il passaporto italiano, posso dire che solo il fatto di avere il passaporto italiano mi ha dato tante difficoltà in Svizzera, perché uno come me con il passaporto italiano è riuscito a creare tante cose che loro non sono riusciti a creare, ha valso più per inimicizia e rancori che non per riconoscenze. Però alla lunga il mio progetto ha creato una certa riconoscenza fra quelli che amano gli orologi e gli orologiai di mestiere ma fastidio per le ditte e molte media che sono imbarazzate dalla mia creatività. A.L. 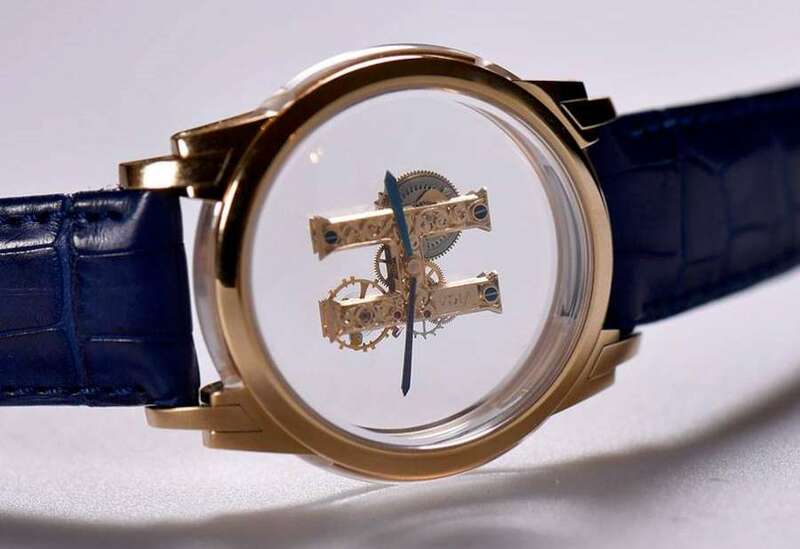 : Lei ha parlato dell’accademia, AHCI, Académie Horlogère des Createurs Indépendants, che ha co-fondato nell’1985. Cos’è la sua funzione? V.C. : Il problema principale è che dopo che ho creato il Golden Bridge e l’ho venduto a Corum, nel contratto c’era scritto che si doveva far menzione del mio nome nelle loro comunicazioni. Dopo un anno e mezzo, dopo il successo iniziale, mi hanno richiamato e mi hanno detto che era troppo pesante perché il nome italiano era troppo lungo e difficile da pronunciare e dunque mi hanno chiesto se accettassi che il mio nome non comparisse più nelle loro comunicati. Questa difficoltà di attribuire il giusto riconoscimento all’artigiano che aveva inventato il movimento mi fece molto arrabbiare, ho pensato che forse non ero il solo ad essere in quella situazione e che c’erano sicuramente altri artigiani come me nel mondo che soffrivano come me per la mancanza del riconoscimento dovuto, dunque ho avuto l’idea di creare l’Accademia. C’erano delle persone di fama internazionale che avevano bisogno di qualcuno che parlasse le lingue che io non parlavo. Dunque sono ricorso a Svend Anderson che parlava tedesco e inglese, io parlavo francese e l’italiano, quindi abbiamo creato l’accademia nell’85. Lo scopo era di dare luce agli artigiani orologiai. Ancora oggi l’obiettivo rimane lo stesso. A.L. : Una domanda tecnica: cos’è la differenza principale fra il carosello e il tourbillon? V.C. : Diciamo che il carosello è stato inventato dall’orologiaio Bonniksen, un danese che lavorava in Inghilterra, ma egli ha sofferto il fascismo svizzero, cioé degli svizzeri francesi che volevano a tutti i costi che Breguet e il suo tourbillon fosse ritenuto superiore al carosello, dunque durante quasi 2 secoli tutti hanno dimenticato il carosello. Quando ho fatto il mio primo tourbillon, non l’ho fatto con un bilanciere centrale grande, l’ho fatto decentrato. Gli atelier mi hanno detto che non era un tourbillon ma era un carosello. 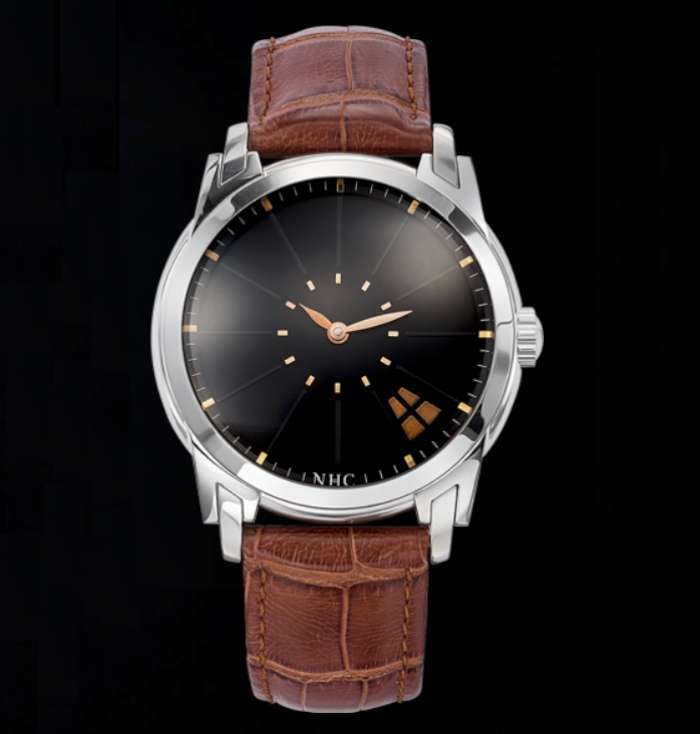 Mi hanno criticato per tanti anni e avendolo venduto a Blancpain hanno criticato Blancpain nello stesso modo. 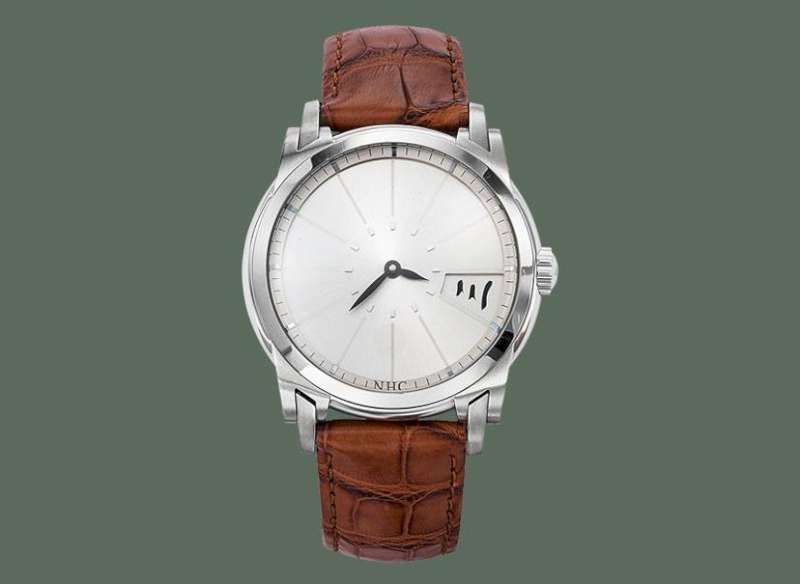 Quindi abbiamo deciso con Blancpain trent’anni dopo di vendicarci e far vedere cos’era il carosello. 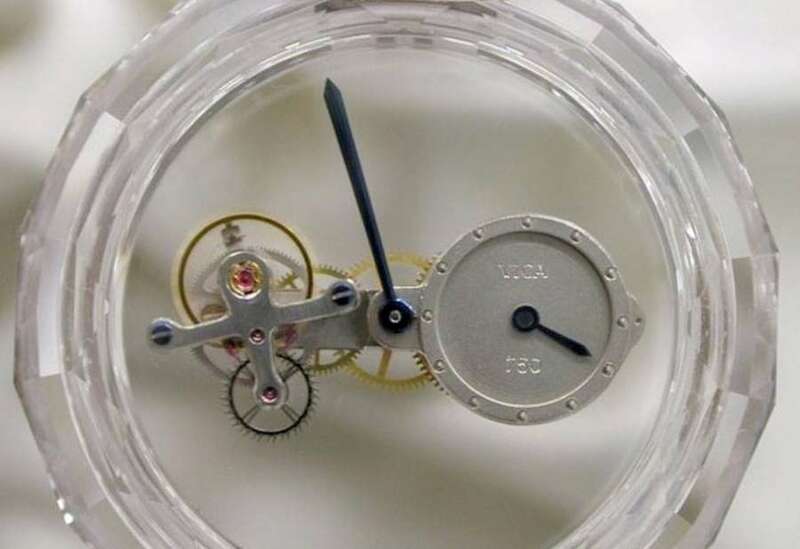 Abbiamo fatto il carosello che gira in un minuto con il bilanciere centrale, e ho potuto dimostrare nero su bianco, con calcoli e con video, che il carosello è di gran lunga superiore del tourbillon perché meccanicamente sono due cose totalmente diverse. Il movimento caratteristico del tourbillon si ottiene attraverso una ruota fissa ed è un semplice movimento satellitare, mentre il carosello non ha nulla di fisso, ha una differenziale, per il quale è molto difficile calcolare la corsa. Ho potuto dimostrare che da un punto di vista tecnico il carosello è molto più redditizio e evoluto dal punto di vista meccanico. Abbiamo messo in rilievo un difetto enorme del tourbillon, che ha una ruota fissa e una gabbia che gira intorno: quando siamo in posizione verticale questa gabbia, a parità di peso e di gravità, quando sarà in basso tende ad uscire dagli ingranaggi e quando è in alto, tende ad entrare, e ciò comporta una cattiva trasmissione dell’energia durante la rivoluzione del tourbillon, mentre per il carosello, che non avendo ruota fissa, questo fenomeno costante non succede. A.L. : Lei in pratica ha rilanciato la sua attività di produzione di orologi con un nuovo sito e un’attività sui social media. E’ tanti anni che lavora su questo progetto, NHC Nouvelle Horlogerie Calabrese? V.C. : No, diciamo che nove anni fa ho venduto la mia ditta a Blancpain, con l’accordo che avrebbero dovuto riprodurre le mie creazioni e i miei brevetti, e invece non hanno fatto niente. A quel momento, dovevo accettare che la mia opera morisse con me, oppure tentare di fare in modo che la mia opera continuasse dopo di me. Per tornare alla ribalta sto provando a fare delle mie creazioni, e quindi creare una infrastruttura in modo che non sono io che lavoro da solo, ma che pian piano potrò trovare dei partner che permettono di far continuare la mia opera. A.L. : Nel orologio Personelle Ypsilon, per lei la ypsilon ha dei significati simbolici, ma ci sono anche dei motivi pratici? V.C. : L’Ypsilon si può interpretare secondo la definizione greca, ma per me l’ypsilon all’inizio è stato semplicemente un iniziale di un cliente. Poi, visto che quando faccio la costruzione di un orologio spaziale, più degli simboli per me è importante la costruzione. In quel caso particolare avevo un movimento che avevo creato in precedenza e volevo fare una cassa differente. Volevo anche arricchirlo con delle incisioni. La particolarità di quell’orologio sta nel fatto che è in oro bianco, un metallo con cui ne ho fatto pochi perché generalmente usavo oro giallo, e poi la cassa è particolare, ci solo quattro casse così. E’ stato inciso in modo spettacolare da un collega, un vero asso dell’incisione. In questo pezzo ci sono due apporti, il mio e quello dell’incisore, mentre di solito sugli orologi spaziali sono il solo artigiano che ha lavorato sul pezzo. V.C. : Per me è importante sottolineare la nobiltà del quarzo. Spesso si dimentica che il quarzo è molto più preciso dell’orologio automatico. 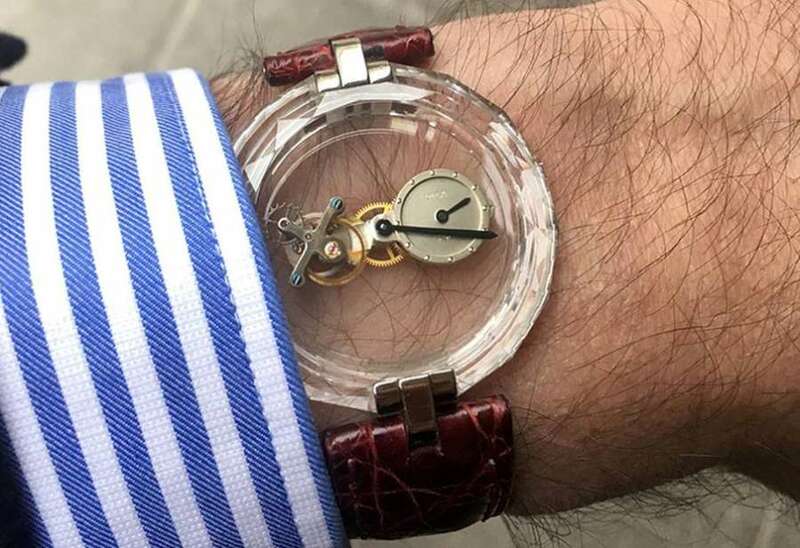 Poi volevo dimostrare ai miei colleghi orologiai che il quarzo ha la stessa potenza in termini funzionali rispetto al movimento meccanico, quindi può essere utilizzato con la stessa meccanica. Non sono stati molti a riuscire in una cosa del genere, e a quanto ne so io, sono l’unico ad esserci riuscito. Poi dal punto di vista filosofico, c’è una cosa molto più importante, perché in aggiunta alle lancette centrali che indicano le ore e i minuti come in un orologio normale, la finestra trapezoidale salta ogni ora per rilevare un indice di macrocultura. Volevo dimostrare la mia filosofia di apertura verso gli altri, a tutta la comunità mondiale, che siamo tutti sulla terra nelle stesse condizioni. A.L. : In qualche altro orologio, lei ha modificato il movimento ETA, per esempio il 2892, per creare l’indicatore della riserva di carica e quindi personalizzando il movimento base. V.C. : Sì in pratica ho lavorato a due livelli, gli orologi spaziali nei quali costruivo il movimento, e in questo tipo di orologeria di tipo artigianale si ha un diverso livello di prezzo. Volevo fare qualcosa più accessibile per persone con mezzi finanziari meno importati. Volevo fare una dimostrazione diversa rispetto alle mie orologi spaziali, nei quali arrivo facilmente a distanziarmi dagli altri orologi, non c’è nessuno che fa orologi come quelli. Invece volevo arrivare a un orologio particolare mettendomi le stesse condizioni che gli altri usavano, cioé avere un quadrante che nasconde il lavoro dell”orologiaio, e accettare anche la cassa che è la cassa funebre dell’orologio. Quindi partendo dalle stesse basi, da qualcosa di ordinario, per fare qualcosa di straordinario. Ho sempre adottato lo stesso movimento, la stessa ETA 2892 sul quale ho sviluppato decine di meccanismi differenti. Giusto per fare vedere che comunque potrei riuscire a fare qualcosa di diverso. Per me è una semplice dimostrazione tecnica di filosofia. A.L. : Quale è l’orologio più accessibile della gamma attuale che sta facendo? V.C. : I più accessibili sono gli orologi al quarzo che partono da 2.500-2.800 franchi svizzeri. Mi sembrano che siano più che accessibili perché sono orologi mezzo artigianali, orologi particolari a un prezzo quasi normale.